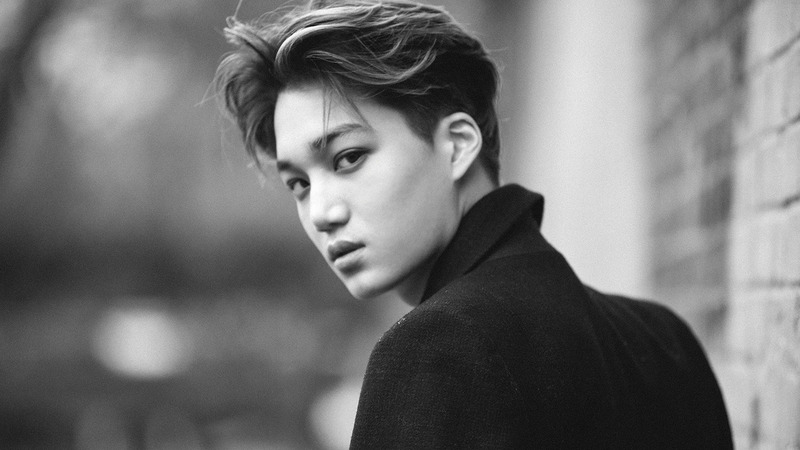 Kai (born with the name Kim Jongin) is a member of the South Korean group called EXO. Formed by S.M. Entertainment in 2011, the group debuted in 2012 and has nine members: Suho, Baekhyun, Chanyeol, D.O., Kai, Sehun, Xiumin, Lay, and Chen. The former members included Kris, Luhan, and Tao. They release and perform music in Korean, Mandarin, and Japanese. EXO separated into two subgroups, Exo-K and Exo-M. They were ranked as one of the top five most influential celebrities on the Forbes Korea Power Celebrity list from 2014 to 2018 and have been named “the biggest boyband in the world”. Exo debuted with a unique concept first revealed with the release of their debut single “Mama”. It involved each of the twelve members possessing an individual elemental superpower ranging from fire, water, and wind to time-control and teleportation. Now, let’s check out the one who can teleport, Kai! He has 2 older sisters, 5 years older and 9 years older. He began dancing when he was eight years old. 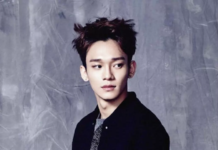 His parents initially wanted him to learn Taekwondo and the piano, but he lost interest in both. He then learned ballet instead. He has several nicknames: Asia’s first love (for his solo performance “Deep breath” in Japan), Sun-kissed boy (due to the beautiful golden color of his skin), Idol’s idol (since a lot of idols pick him as their role model), Olympics secret weapon (after his solo stage at the Opympics), Subway angel (after his photoshoot for “Big Issue” which he did for free to help the homeless), K-pop’s sharpest dancer (by the editor of Lined magazine). His nicknames are Kkamjong (it literally means dark Jong) and “Dark Skin”. He auditioned at SM because his father promised to buy him a Nintendo (he said that on Knowing Brother). He was cast into SM Entertainment after winning the company’s Youth Best Contest in 2007. 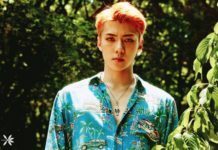 He appeared in 13 EXO teasers before the group finally debuted. He’s been chosen as the best dancer in K-pop by idols for three years in a row. His dance specialties include ballet, jazz, hip-hop, popping, and locking. He loves ballet with all his heart. He said that if he wasn’t in EXO, he probably would’ve been a ballet dancer. He said that even after 10 years of knowing ballet, he still has difficulty with it. He was the first member of EXO-K to be introduced. 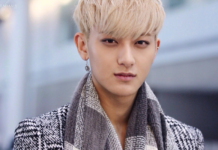 He was introduced as an EXO member on December 23rd, 2011. He made a brief appearance in TVXQ’s MV for “HaHaHa Song” along with members Suho and Chanyeol. He made a cameo appearance in Taetiseo’s MV for “Twinkle” with Sehun, Baekhyun, and Chanyeol. In August 2014, Kai was featured in the song “Pretty Boy” from Shinee’s Taemin’s debut album. Kai performed at SBS’s Gayo Daejun event with EXO-M’s Lu Han, Chen, and Tao on December 29th, 2011. 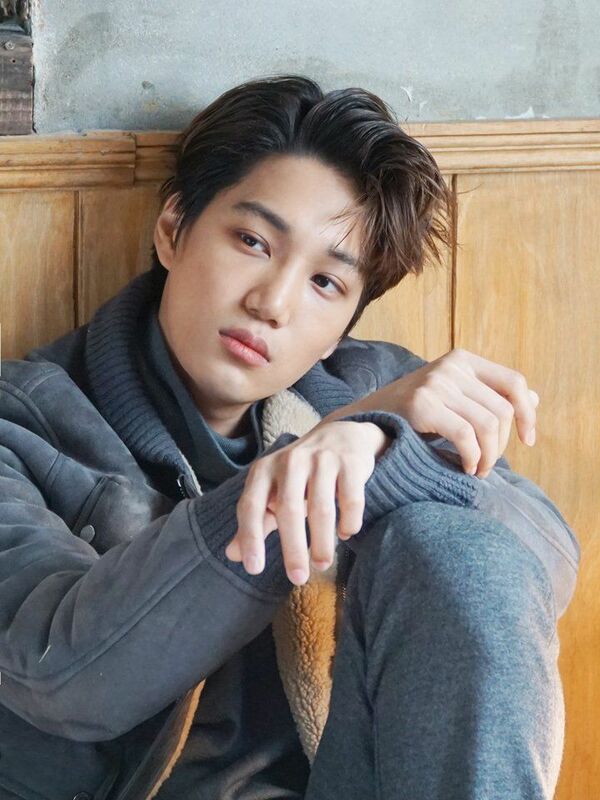 Kai participated in the promotional group Younique Unit in 2012 alongside label mates Super Junior’s Eunhyuk, Super Junior M’s Henry, SNSD’s Hyoyeon, Shinee’s Taemin, and former EXO’s member Luhan. The group released a single titled “Maxstep” as part of the collaboration between S.M. Entertainment and Hyundai. He joined the dance group S.M. 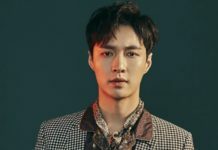 The Performance along with fellow EXO member Lay, TVXQ’s Yunho, Super Junior’s Eunhyuk and Donghae, Shinee’s Minho, and Taemin. The group first made its appearance at the event SBS Gayo Daejeon on December 29th, 2012, and performed their single “Spectrum”. 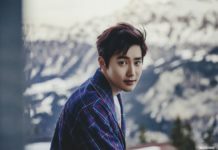 He made his official acting debut as the male lead in the web drama Choco Bank in 2016. 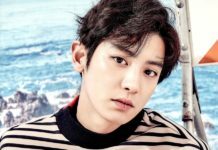 He acted in some Korean dramas, including To The Beautiful You (2012) as an EXO-K member and most recently in Andante (2017) as a lead role. He also starred in the Japanese drama Spring Has Come and the Korean drama Miracle That We Met (2018). Kai has three dogs: Monggu (poodle) and Jjanggu and Jjangah (toy poodles). Kai’s ideal type is someone who is gentle and affectionate like Han Yeseul. His role model is Michael Jackson. He really likes dandy and neat styles. He also wears shirts and T-shirts with characters on them and likes to wear lots of sweaters. He likes to go to SM’s practice room and SM’s rooftop. When he was a child, his mother liked him with long hair, and because of this hairstyle, a lot of people used to mistake him for a girl. Kai has the shortest temper out of all of EXO’s members. He has a habit of often biting his lips. When EXO is on break, Kai likes to go biking, read books, listen to music, dance, go online, and surf YouTube videos. He really likes action movies. He likes listening to music from The Weeknd, Asap, Rocky, and Maxwell. He’s good at all types of games. He said that once you get to know him, he’s very easy to understand. Deep down, he’s very innocent. He said that as long as people love him, he’ll return that love with double the amount. If he had to be an animal, he’d be a jaguar because of his dark skin and because jaguars are usually slow and calm, but can do a 180 change and become super fast and diligent. This is similar to him because he can be calm and relaxed, but when he focuses, he can go all out. Kai originally didn’t like drinking coffee. In a more recent vLive, he mentioned starting to like the taste of coffee. He doesn’t like to be disturbed when he’s sleeping unless it’s for fried chicken that has been delivered to the dorm. He likes tapping people’s shoulders. 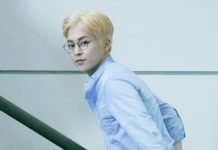 During an episode of Knowing Brothers, he mentioned that once he refused to eat with EXO’s D.O. because he felt uncomfortable by his glaring (which happened to be due to D.O’s nearsightedness). However, they became very close in a matter of days and are now extremely close. 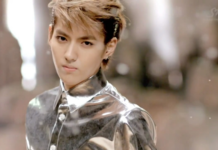 One of the most painful memories he has is when he tore his pants while dancing for an EXO teaser. He likes to play soccer even though he’s not as talented as Xiumin. One of his dreams is to go to the Chelsea FC arena at Stamford Bridge and be trained by Fernando Torres personally. He is the best at memorizing football players’ names. Kai says that one of his favorite memories while being in EXO is when they volunteered at the Red Cross. He’s awkward when it comes to expressing his feelings, but he wants to treat others well. Some people would consider him blunt and chic, while others say he’s cute like a puppy. He draws designs for cups and stuff for his sister’s cafe ‘Kamong’. During his latest interview for L’Officiel Hommes, he said the word “happiness” thirty-two times. Kai would love to film a biographical movie about himself. It would portray when he was first debuted until he became one of the top idols in South Korea. He said that when he was young, he had to switch schools a lot. Because he’s shy with strangers, he ended up spending most of his time at libraries reading books. He plans his airport fashion a day in advance, not necessarily because he cares about how he looks, but because the day he has to leave, he won’t have time to pick out an outfit. Let’s Meet The Family of EXO’s D.O (Do Kyungsoo)!